Taipei, Taiwan, August 1st, 2017 – GIGABYTE TECHNOLOGY Co. Ltd, a leading manufacturer of motherboards and graphics cards, presents the newest AMD X399 equipped motherboard, the X399 AORUS Gaming 7. The critically acclaimed AORUS series extends its focus to the AMD platform and the new X399 AORUS Gaming 7 comes with a plethora of impressive features. 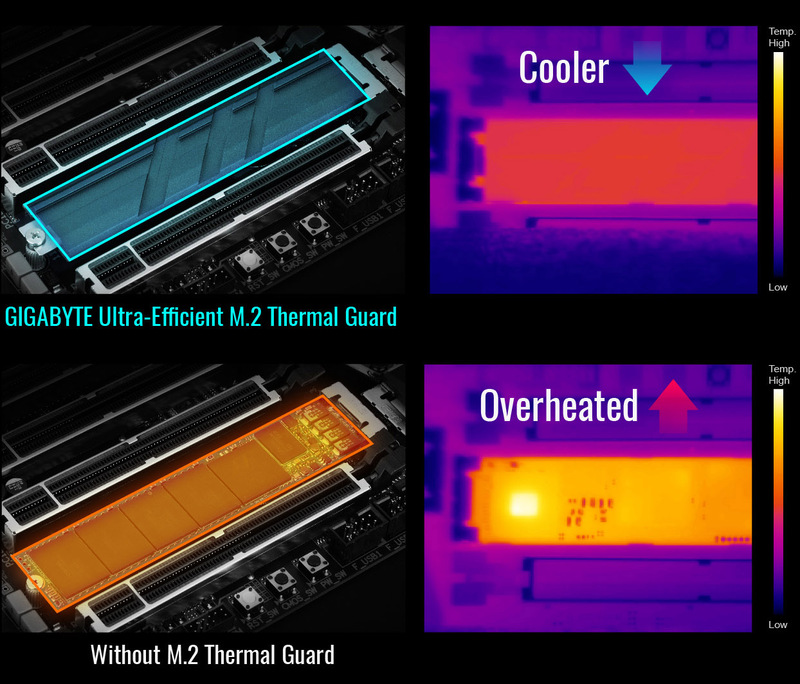 These features include high-end cooling solutions, digital lighting support, M.2 plug heat dissipation armor, 4-Way display output, a newly designed power source, GIGABYTE’s unique RGB Fusion and Smart Fan 5, which provide the user with a high quality, innovative and high performance motherboard. 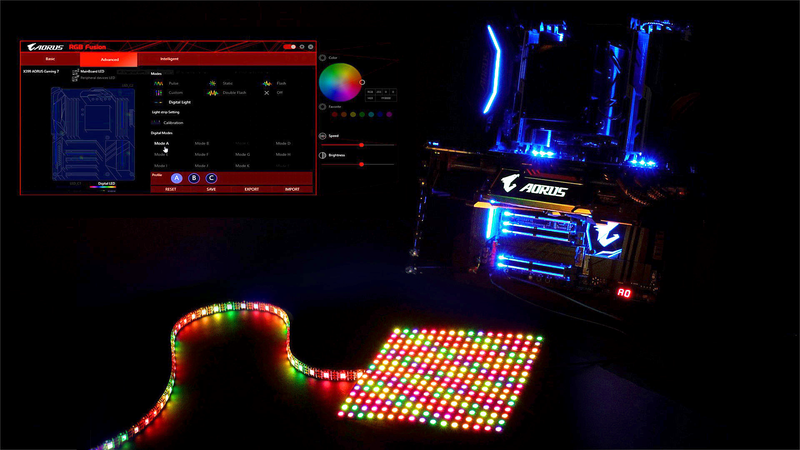 In addition, GIGABYTE has partnered with WTFast to provide the best networking connection to consumers and allows the user to experience AORUS motherboard’s strong and stable network performance. Not only does it fulfill the user’s connection speed expectations, it complements the AMD RyzenTM ThreadripperTM‘s top notch processor capabilities. The AMD RyzenTM ThreadripperTM Processor is the first AMD consumer processor to utilize a land grid array design. It uses a SocketTR4 power source with 4094 pins and is larger in volume compared to the AMD RyzenTM 7. 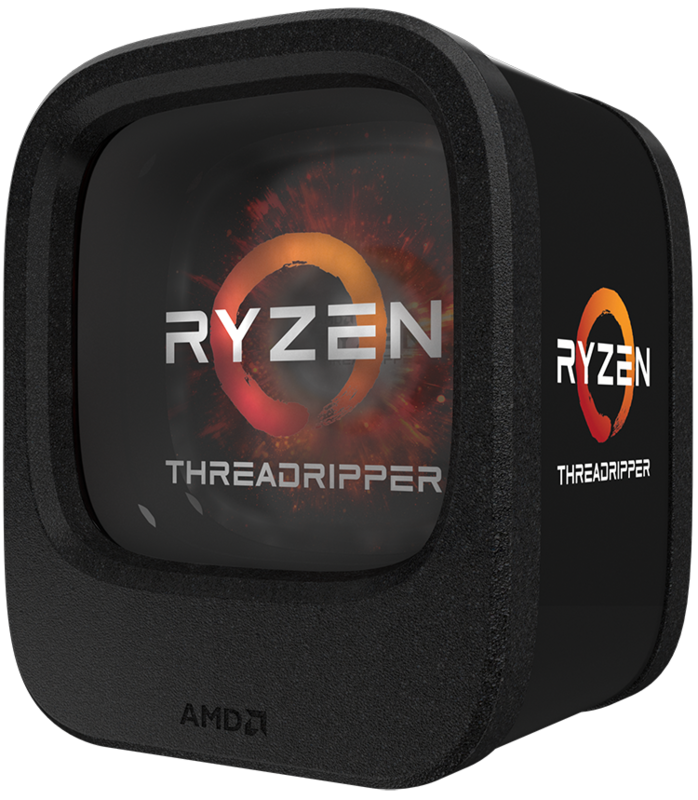 The brand new AMD RyzenTM ThreadripperTM processor uses a 14nm core and boasts a 16-core, 32 thread design, more than double that of the AMD RyzenTM 7. The RyzenTM ThreadripperTM also provides the consumer with a record breaking 64 PCIe Gen3 lanes, improving its overall processing capabilities. The X399 AORUS Gaming 7’s unique design fully supports the RyzenTM ThreadripperTM processor, three PCIe Gen3 x4 NVMe M.2 interfaces, and USB 3.1 Gen2 connectivity, providing high quality display and efficient information processing/storage connectivity. 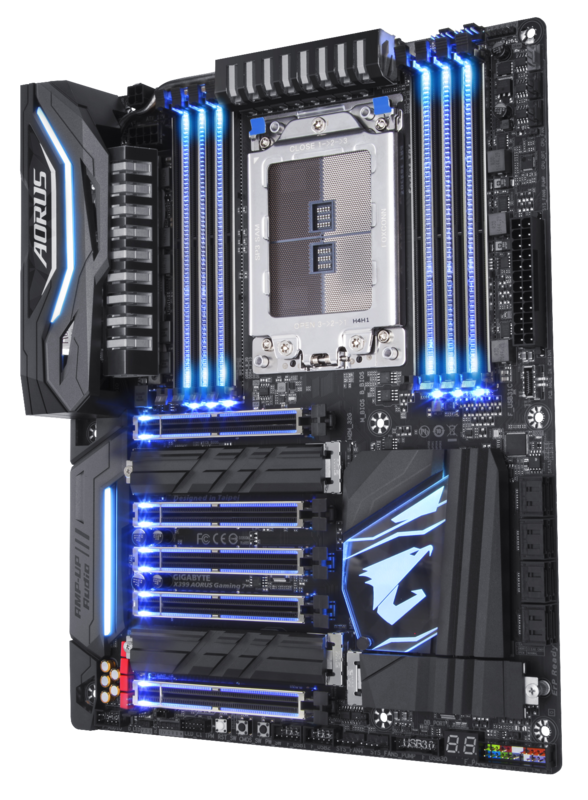 The X399 AORUS Gaming 7 motherboard utilizes a highly durable power equipment design, providing the best support for the RyzenTM ThreadripperTM‘s exceptional processing capabilities. It is by far the best choice for AMD’s top processor on the market. The X399 AORUS Gaming 7 has a significantly more durable power supply with its CPU (ATX12V) and 24-Pin ATX power source. It has superior power transmission capabilities, a fourth generation power source, a third generation PowIRstage chip and a industry leading IR, providing stable and more than sufficient power. The X399 AORUS Gaming 7 is highly durable and should provide at least 100,000 hours of power. The board also has USB port protection with Precision Digital Fuses, to protect against over-current damage and avoid unexpected voltage from external devices. These important power management and protection features will ensure a stable and efficient AMD RyzenTM ThreadripperTM operation on the X399 AORUS Gaming 7. The X399 AORUS Gaming 7 motherboard provides 64 PCIe Gen3 lanes of which 48 PCIe Gen3 lanes are dedicated to graphics performance. The four PCIe Gen3 slots (16+16+8+8) support 4-Way AMD CrossFire™ and 4-Way NVIDIA® SLI and provide 4K quality display, giving the consumer an exceptional gaming experience. The X399 AORUS Gaming 7 uses the Realtek® ALC1220 engine, Smart Headphone AMP capabilities, and its audio settings can be optimized. The consumer doesn’t have to worry about the audio being too soft or too loud. Adding on the Nichicon and WIMA audio options, the motherboard provides the consumer with top notch entertainment quality. Regardless if it’s listening to music, watching a movie, destroying enemies in PC games, the consumer can enjoy high end visual and audio quality. 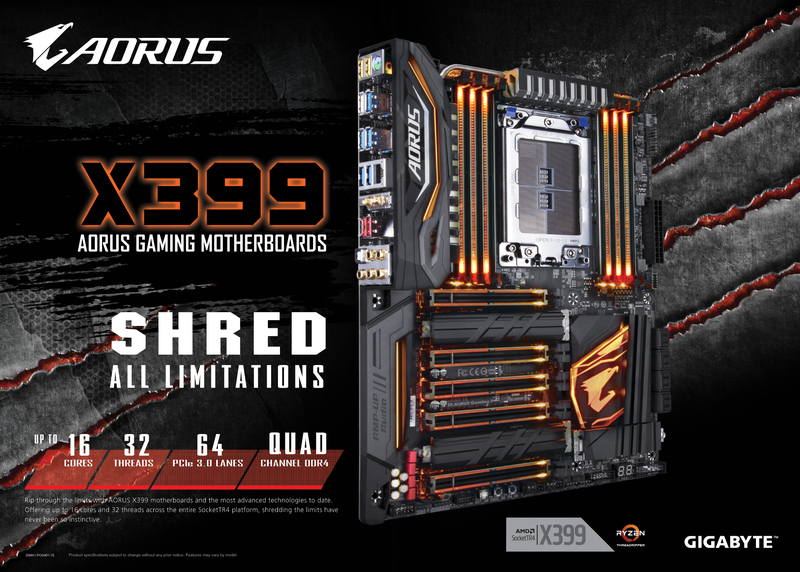 The X399 AORUS Gaming 7 supports the newest SocketTR4 powered AMD RyzenTM ThreadripperTM processor, DDR4, USB 3.1 Gen2 ports, USC DAC-UP2, Q-Flash Plus, and other unique GIGABYTE specifications. For more information on the specifications of this new product and the technical features it supports, please visit the official site for more details.